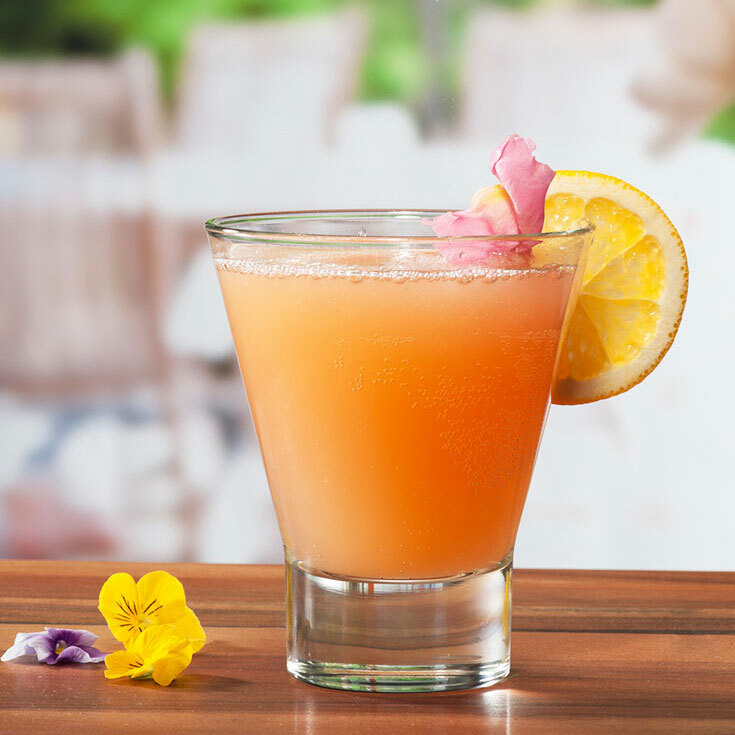 Combine Sauza® Signature Blue Silver, orange juice, and grenadine in a shaker with ice. Stir, and strain into glass. Top it off with champagne and garnish with an orange wedge.